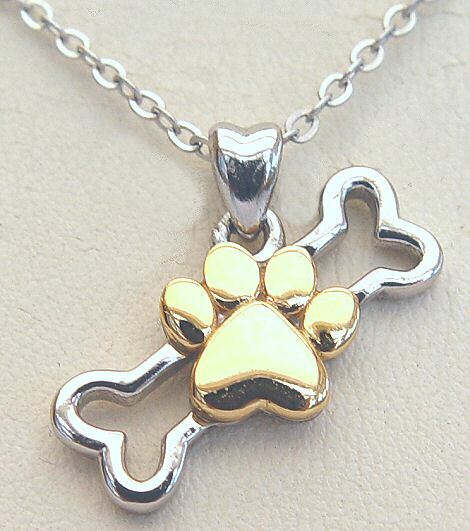 Dog Paw & Bone Necklace: this Sterling Silver necklace features a silver dog bone and a Gold plated Paw print. 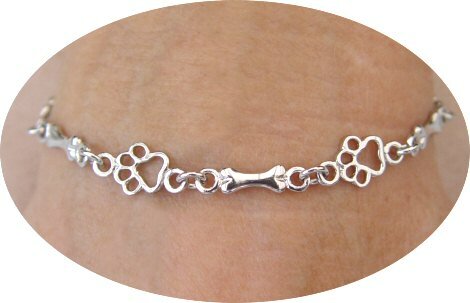 Marked 925 on the back, the pendant is 2cm by 1.5cm including the bail and the chain is an 18" open link Sterling Silver Curb chain, also marked 925. 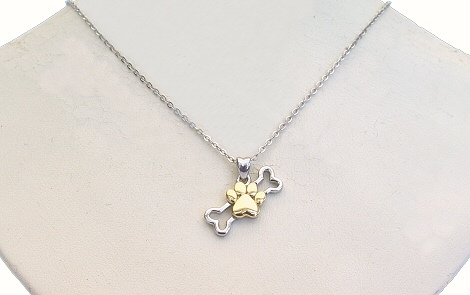 This necklace is Rhodium plated to prevent tarnishing and comes with a silver polishing cloth. 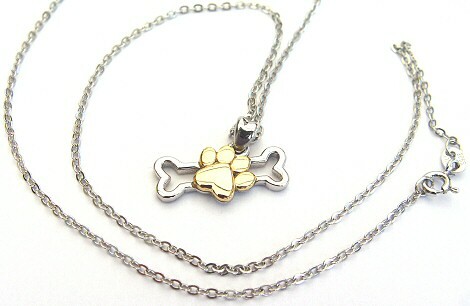 Short Description:- Dog Paw & Bone Necklace: Sterling Silver necklace with silver dog bone and Gold plated Paw print.